Nollywood Actor Kenneth Okonkwo Disqualified from contesting for Enugu State governorship election in 2019. 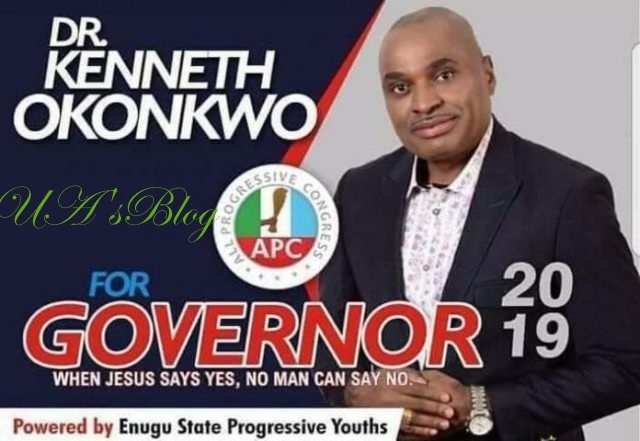 The All Progressives Congress (APC) has disqualified popular Nollywood actor, Kenneth Okonkwo from contesting for Enugu governorship election in 2019 following his inability to purchase the nomination and expression of interest forms. Igbere TV gathered that Kenneth Okonkwo has been begging his party members to help him out but all to no avail. ” Those that don’t want to come out themselves will tell you a group bought for them. In this case, Kenneth did not purchase his form by the deadline talk more of coming for screening…, ” the source said. The All Progressives Congress Party had set their nomination forms fees for Governorship aspirants at N22m. Recall that the popular Nollywood Actor was heavily criticized after he said that the Igbos will continue to wander in the wilderness if they fail to vote for president Muhammadu Buhari come 2019 election. READ ALSO : Zambia Refuses Entry To Kenyan Law Professor, Patrick Loch Otieno Lumumba For ‘Security’ Reasons.